I sometimes receive compliments that I have a good looking hands (buti pang yung hands napansin lol) and right after that compliment is a question if I'm using a specific product. It's so funny because I really don't use any product dedicated to beautify the hands. Though, I have this habit to put on lotion every now and then to make sure my hands are moisturized that's why I always have a small lotion inside my bag wherever I go. 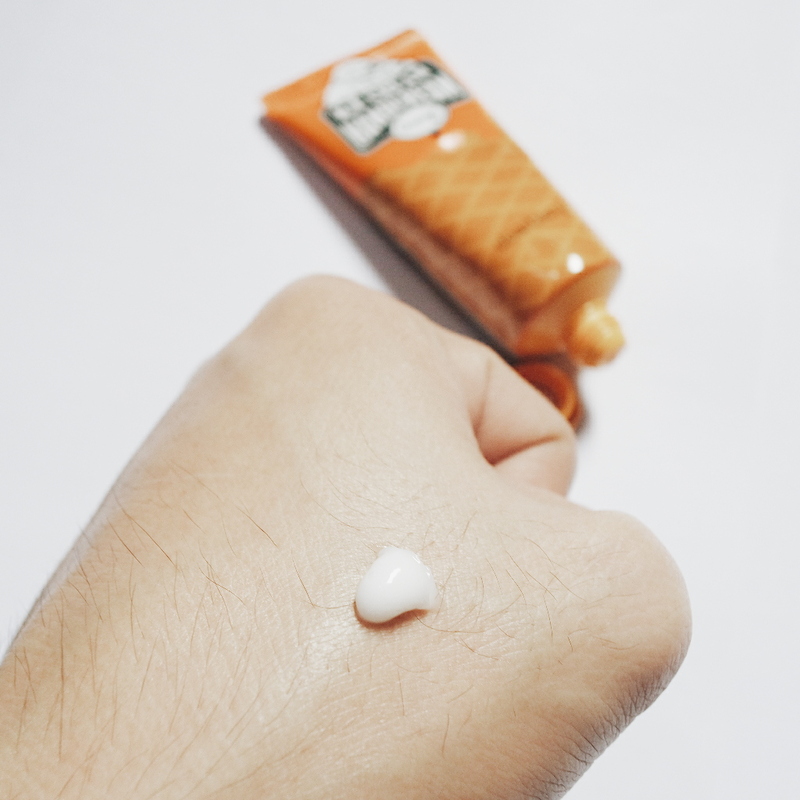 When Dearberry gave us some products, a hand cream is included in the kit. This creamy hand balm penetrates to skin very quickly to protect, moisturize, and replenish dehydrated hands. Its formula is enriched with naturally nourishing and emolliating ingredients to give you the softest hands ever. Plus, it looks like an ice cream. How can you resist? 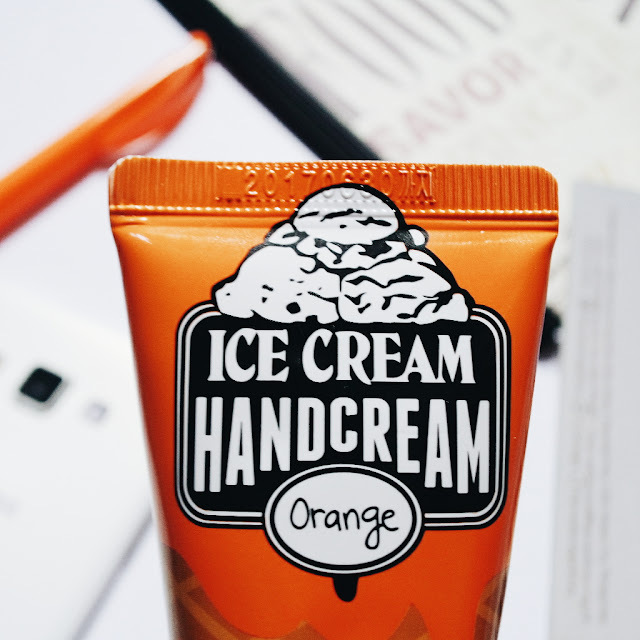 Dearberry's Ice Cream Hand Cream is available in five variants namely: cherry, lemon, orange, green tea, and vanilla. I've got the orange variant and I super love its smell because it gives me that fresh and clean fragrance that last for hours. As I've said, I love putting lotion on my hands because aside from it is moisturizing, it also gives a pinch of relaxation because of its fragrance. I am religiously using Dearberry Ice Cream Hand Cream even at home. 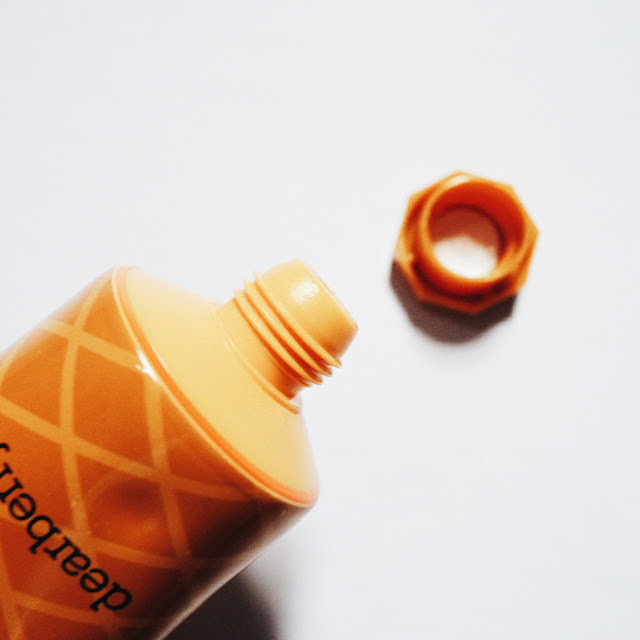 A little goes a long way and you literally need a pea-size to moisturize your hands. It's perfect for my afternoon routine wherein I'm inside my room, AC on while doing some drafts for my blog. 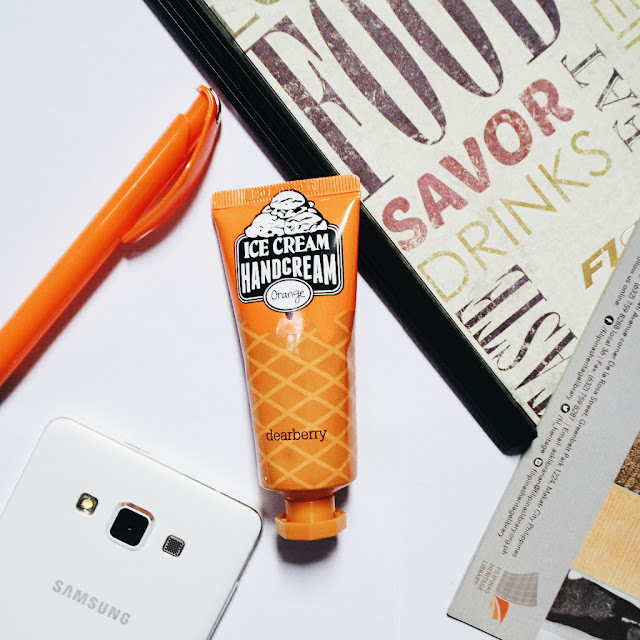 Air conditioner makes our skin dry and dull looking that's why I always keep the Dearberry Ice Cream Hand Cream on my work desk for easy access. I also bring this cream when I'm attending events because I want my hands to be smooth, soft, and smelling good when I shake hands with others.